Home Blog Why Learn Russian? Maybe you’re considering learning a new language. Maybe you’re even toying with the idea of becoming fluent in Russian. In any event, you might be wondering why you should learn Russian, or how you would even start. The truth is that there are a bunch of reasons to learn Russian, and even if you live in the US, there are lots of ways to learn Russian. Russian is the largest native language spoken in Europe. The language’s 144 million native speakers reside in Russia, Ukraine and Belarus. The language is often listed as the seventh most spoken language in the world, with about 260 million speakers worldwide. Russia is also one of six official languages of the United Nations. Additionally, if you’re living in the US, you might be surprised to know that Russian is an integral part of US history. There were many Russian immigrants during the 1700s and 1800s, particularly in Alaska. Currently, there are relatively large Russian-speaking populations in many cities across the country. In 2007, Russian was the primary language spoken in over 850,000 homes in the US. All of this is just barely scratching the surface, so let’s dig into the top 12 reasons to learn Russian. In the United States, with a population of around 300M people, over 900K speak Russian. That means that Russian is the 12th most spoken language in the country. From 1990 to 2000, the percentage of Russian-speaking individuals in the US increased by 192%. The number of Russian-speaking individuals is on the increase, especially in metropolitan areas. Russia is also the second-most spoken language on the internet. Whether you are dealing with sales prospects, current customers or colleagues, that’s a lot of reason to learn Russian. Remember how we said that there are over 900K Russian speakers in the United States? Well, Russian speakers are also more likely to have degrees. 51% of Russian speakers have a bachelor’s degree and 92% have a high school diploma, meaning that those branching into the job market or looking to get a promotion, may in fact be meeting with a boss, colleague, or employee who speaks Russian. Globally, there are over 260M Russian speakers, and Russian is the official language of 38 territories across Europe. Russia is also a recognized minority language in Romania, Ukraine, Norway, Armenia, Poland, Czech Republic, Slovakia, Moldova, Uzbekistan, and the United States. Learning Russian truly allows you to join a global community. Did we mention that Russian is spoken in 38 territories and across three continents? If you’re a student, speaking Russian means that you can study in a bunch of countries all around the world. That’s a lot of different geographies, a bunch of culture, and a ton of frequent flier miles. It’s also a great way to differentiate yourself from an academic perspective. If you read the blurb above, all those opportunities apply to you if you’re already in the work force. Russia has the 6th biggest GDP in the world with around $3.9 trillion. The country also has a very high Human Development Index, the 50th highest in the world. With a stable economy and a highly-developed infrastructure, a new career in Russia could be a huge opportunity! You’ve probably heard of Leo Tolstoy, but there are so many other brilliant Russian authors, philosophers, and composers to hear and read! Learning Russian allows you to experience the works of Russian cultural production as they were originally written and created. Read Tolstoy as Tolstoy was meant to be read. Watch the Russian ballet and have a better understanding of the cultural and linguistic forces that led to its creation. Language is the soul of any place, and there are over 38 territories that count Russian as their official language. That’s a lot of culture to tap into, and a lot of opportunity to expand your horizons. 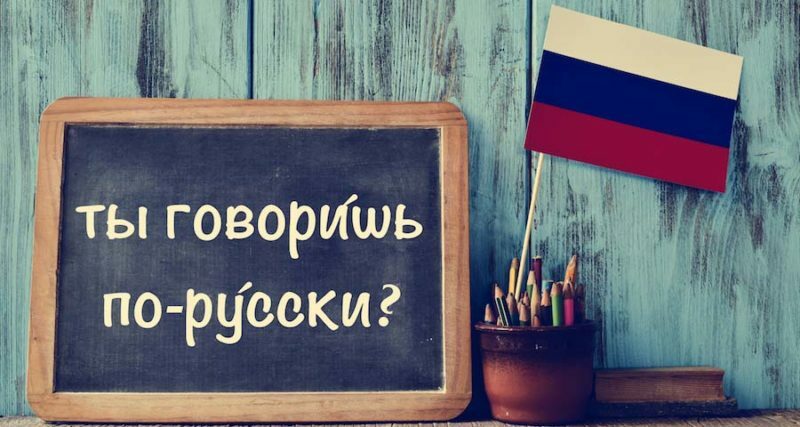 Whether you’re looking to better understand new cultures, connect with local or international history or just looking for personal development and improvement, learning Russian is a great way to address all of those goals. Learning a new language is a cognitive function, and one that’s proven to keep your mind sharp. Did you know that clinical studies have shown that learning a new language can help you delay (or even avoid) ailments like Alzheimer’s or dementia? By the way, that goes for people of any age, so whether you’re a teenager, baby boomer or anyone in between, learning Russian is a great way to sharpen your mind. Lots of people chose to learn a new language in order to study or work abroad. Others study a new language in order to connect with friends, family or loved ones closer to home. In both cases, access to native speakers is hard to come by in the US. Nothing could be further from the case with Russian. Like we mentioned before, there are over 900K speakers of Russian in the United States. There are large populations of Russian speakers especially in major cities. What better way to connect with people in your community than to speak their native tongue? Russia has a long history in the United States, ranging from settlements in Alaska to migration into major cities, like New York, during the fall of the Soviet Union. While Russia does have a rocky history with the US, there are also large populations of Russian immigrants and Russian speakers in the US today. French may be the language of romance, but love is blind to ethnicity or language. Even if you’ve only been skimming everything on this page, you’ve probably picked up on the fact that Russian is spoken by 900K people in the US and 260M globally. We’ve all heard how hard it is to find a good partner, so why limit yourself even further? The Russian language uses the Cyrillic alphabet, but don’t be discouraged! Often the alphabet is transliterated using the Latin alphabet, which English also uses. Although Russian grammar can seem intimidating, it has evolved over time alongside Russian culture. It follows a set of grammar rules with a few exceptions, much like English!